Does your work truck seem to be falling apart? Breaking down at every glance? Is this truck used for jobs that might be too big for its size? Some trucks just can’t handle the heat. If this sounds familiar, it’s possible that medium-duty trucks may be a better option for the business. A larger truck size might be necessary to beat out the competition. What Are the Different Truck Types? There are a few different truck types out there and not all of them are equal. Some have better qualities than others when it comes to specific uses. Light duty trucks are the lightest trucks and they are in the commercial truck classes 1 through 3. Medium heavy-duty trucks are in the commercial truck classes 4 through 6. These trucks are usually between 14,001 to 26,000 pounds. The largest truck types are heavy-duty trucks, which fall into the 7th and 8th commercial truck classes. Although the larger trucks may be necessary for certain activities or bigger hauls, medium-sized trucks are typically going to work for a lot of the same purposes. This is part of the reason that they are so popular overall and why they are widely used for businesses and personal reasons alike. It is important that we consider what we plan to use the truck for in order to determine which size truck is needed. How heavy is the stuff I am hauling? How far do I need to take it? These are just some of the questions to ask before you can figure out if a medium truck is the right size for the job. Another thing we have to think about is how much money we can spend on the truck. Medium trucks are going to cost more than light trucks, but less than large heavy duty trucks. If we consider the general pricing of vehicles anyway, this makes a lot of sense. We can always save money by buying a used truck, but beware. Sometimes we have to know what we are getting ourselves into. It is crucial that we remember truck size as well when we are considering buying a new truck. Using a truck that is too small or light to do tasks that a larger truck would normally do can cause a lot of wear and tear. It is obvious when the truck that is being used is not up to the job. Problem after problem will start popping up, especially if the truck is used often. What we often see is the truck’s brakes will start to fail, the engine may not be as consistent, and the truck itself will just start to have more issues. Although I can get away with using a light-truck for some jobs, doing so consistently will ruin the truck. This is overall a waste of money. Medium trucks are great for a lot of the jobs that may be needing completed anyway. Since this truck size is in the middle, it can often be used for a variety of purposes. So, what is a medium-duty truck good for and why would we want one over the other options? There are a lot of answers to this question. One common use for a medium sized truck is for delivery, such as mail delivery, food delivery, or flower delivery. Another common use might be a garbage truck, although these can also come in heavier and larger varieties depending on the truck itself. Some tow trucks are considered medium-size trucks. We might find a medium-duty truck being used as a firetruck or as an RV also, but these can also come in bigger sizes as well. The best thing about a medium-duty size is that it can be used for a lot of different types of activities. People may haul stuff with them or just use them for their everyday driving. Everyone uses their trucks for a lot of different reasons, whether those might be personal or work related. It depends on the person that buys it. These size trucks come with a lot of variety as well. Some medium-duty trucks are going to have different size truck beds, have more roomier cabins, or get better gas mileage than others. For instance, the Mitsubishi Fuso gets great gas mileage and this can be a real benefit for certain drivers. A medium-sized truck is easily going to be customizable. We are able to change these trucks to help us meet our needs and get the job done. This can help us determine which truck is the right one in the end. How Can I Make the Best Choice? If we want to get a new truck, we obviously have a lot of factors that we have to consider before we make that decision. Buying the wrong size truck or not knowing exactly what we will use the truck for can be detrimental in the long run. It is a good idea to do a little bit of research about the trucks within the preferred size range. After this, it will be easier to make a more educated choice. To learn more about medium-duty trucks, feel free to contact us to learn more. Download Your Repair Manual, Instantly! 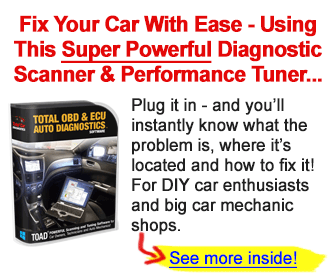 Get the help you need with online car repair manuals for immediate download. * Why Tradebit Car Repair Manuals?